An acoustic guitar or ukulele preamp converts the acoustic signal and amplifies it, making it strong enough for additional processing using equalisation and effects or for sending the audio to a power amp. To work, the preamp/eq system will utilise some form of pick up, acoustic guitars use a piezo pick up, (pronounced “pee-YAY-zoh”) it sits under the bridge and will work by picking up vibration from the strings. The signal is then transferred to the Preamp.. This is unlike electric guitar pickups that are magnetic and detects vibration from the electromagnetic field. For acoustic guitar players, the part of the guitar amp with EQ is where the action happens, sometimes a tuner and gain controls will be located where the preamp will be. This allows the player to adjust the tone, before it is sent off out to the amplifier. 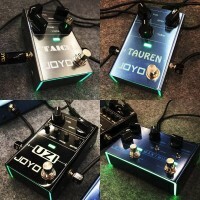 The 6.35mm output on a guitar will be connected to the preamp internally, insert your guitar cable into the jack output and this is taken off to the amplifier or PA. Controls on the EQ, phase can make a dramatic difference to the sound your guitar will make when connected to an amp, adjusting lows, mids, highs and phase signals to eliminate feedback. Guitar preamps can be plugged directly into mixers and audio interfaces as well, which makes them quite convenient for practice gigs & recording. 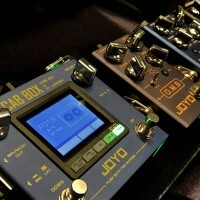 A JOYO preamp can be fitted to many instruments, ukulele, violin, bass, acoustic and electric guitars.